BAT - BLOG : BATMAN TOYS and COLLECTIBLES: Retro-Style Silver Age #BATMAN Tattoo Art! Retro-Style Silver Age #BATMAN Tattoo Art! 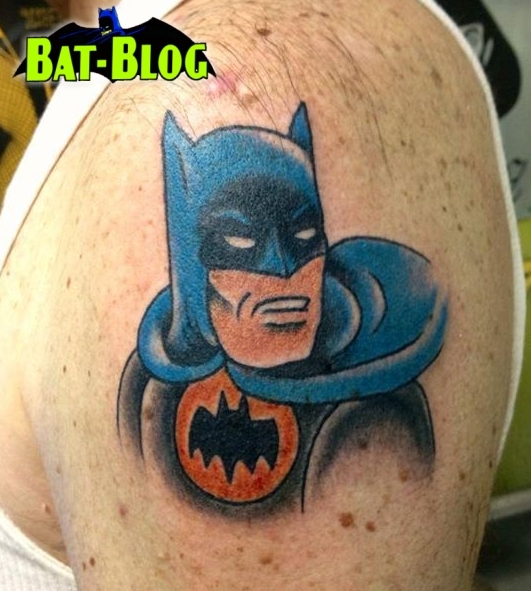 I just realized I have not posted a fun "BATMAN TATTOO" photo recently so I thought i would share this one I came across yesterday. A friend of mine told me about a local (I live in Oklahoma City, OK) Tattoo Artist named "Viking Ashley". I checked out her Facebook page and she does some amazing artwork. Then, you can imagine my surprise when I came across this little gem, a Silver age-style "Batman" Bat-Tat!